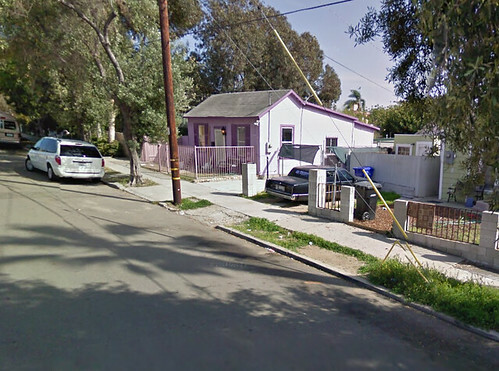 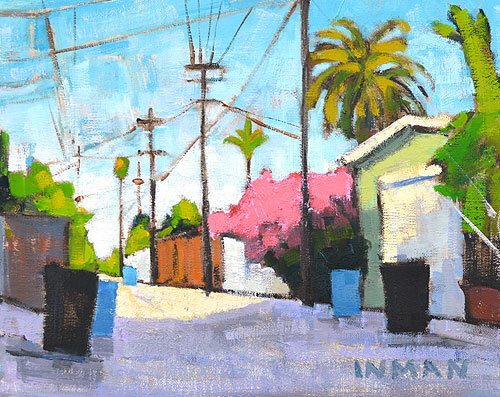 Painted yesterday in North Park. 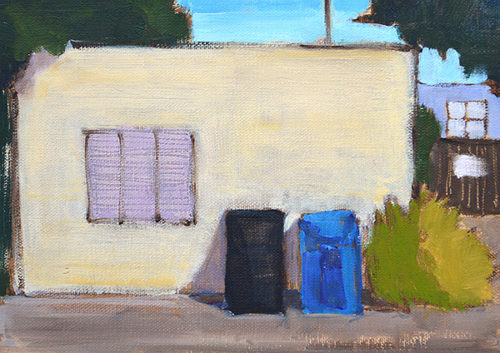 This entry was posted in Landscape Paintings, San Diego Paintings, Urban Landscapes and tagged 5 x 7 inches, alley, north park, oil on linen, trash cans on June 16, 2016 by Kevin. 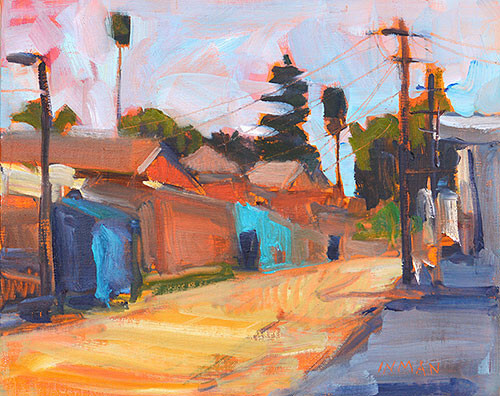 I really like exploring these alleys. 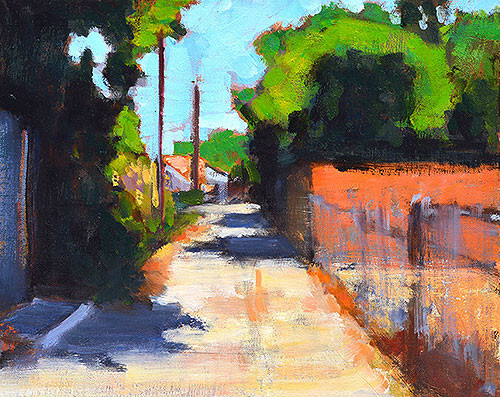 This entry was posted in Landscape Paintings, San Diego Paintings, Urban Landscapes and tagged 8 x 10 inches, alley, california, city, landscape, oil on linen on panel, san diego on May 31, 2015 by Kevin. 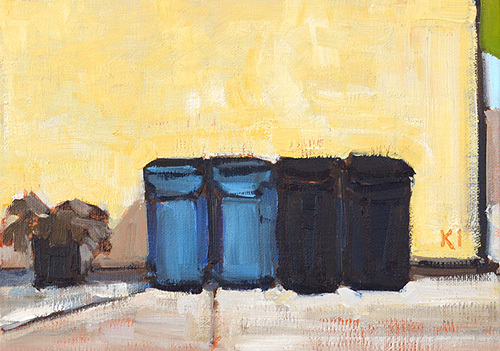 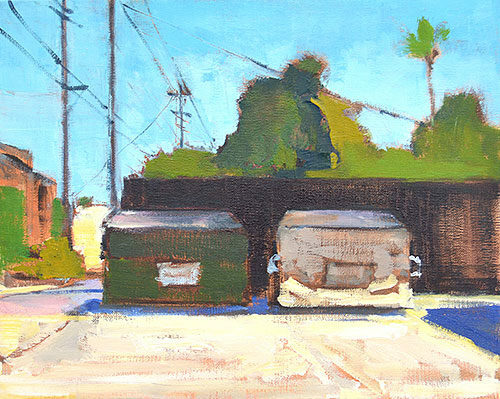 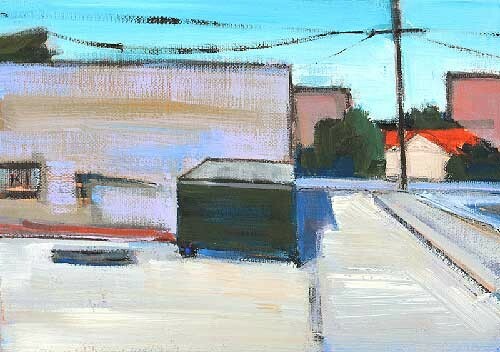 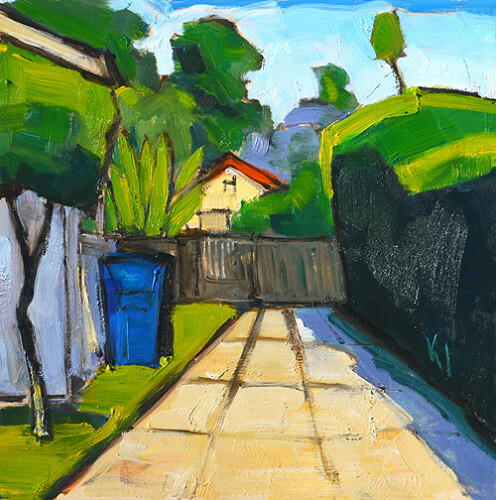 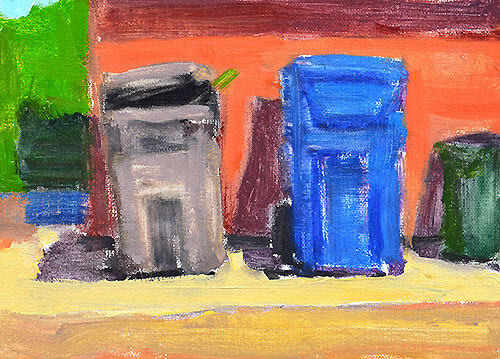 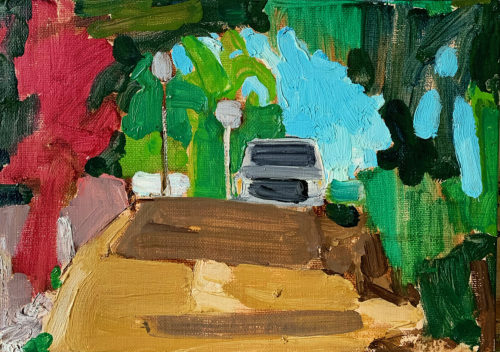 This entry was posted in San Diego Paintings, Urban Landscapes and tagged 5 x 7 inches, alley, california, mission hills, oil on linen on panel, san diego, trash cans on April 16, 2015 by Kevin. 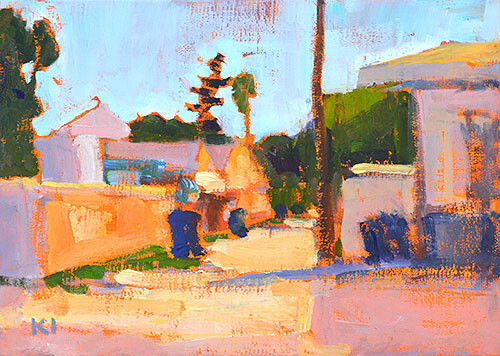 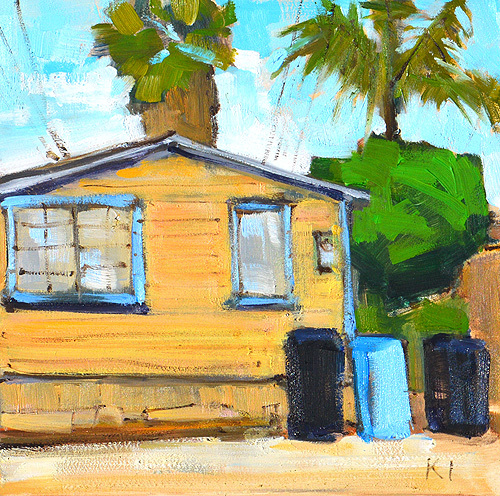 This entry was posted in Landscape Paintings, San Diego Paintings, Urban Landscapes and tagged 5 x 7 inches, alley, california, ocean beach, oil on linen on panel, plein air, san diego on March 6, 2015 by Kevin. 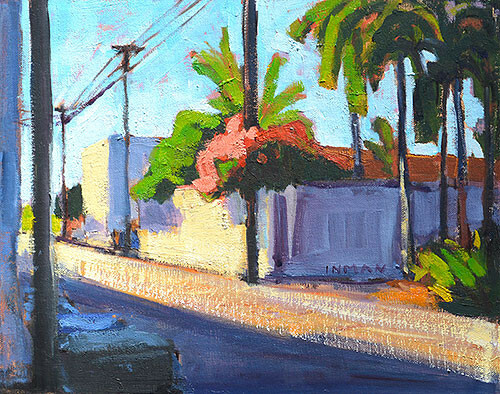 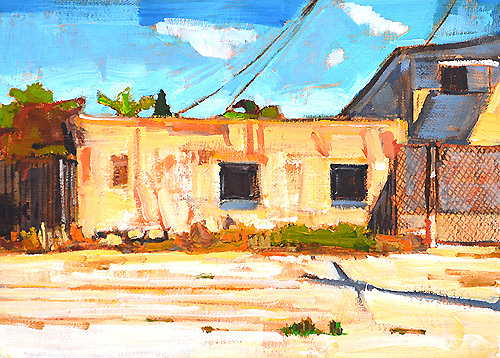 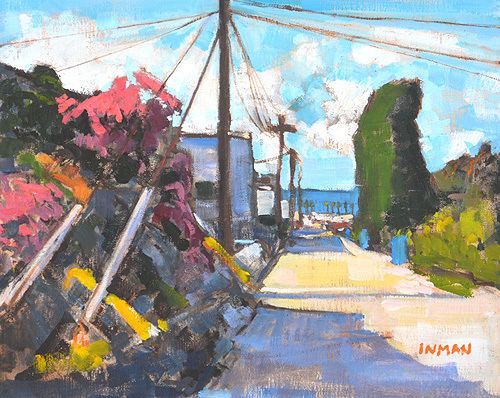 This entry was posted in Landscape Paintings, San Diego Paintings, Urban Landscapes and tagged 8 x 10 inches, alley, OB, ocean beach, oil on linen on panel, power line, powerlines on October 27, 2014 by Kevin.